Hey guys! Back with another COLOUR CRUSH for you. This week's fabulous hue - TEAL! I think about half of the things I own are this colour. And I think I'm okay with that. Teal reminds me of mid-summer, waves crashing on the beach, long days and nights that go on forever. It's pretty romantical in my mind. Ah, I wish I was on a beach right now, it's sweltering in the city. These teal treasures can help you ride out the heatwave. Hey guys! It's time for another COLOUR CRUSH post. Today's colour is the prettiest of pinks. Think ballerinas, tutus, ribbons and bows. Light and airy, it still packs a punch -whether worn across your shoulder (don't you just love the Kate Spade Saturday bag? ), or as an accent in your home (how cute is the little piggy bowl from Urban Outfitters?). 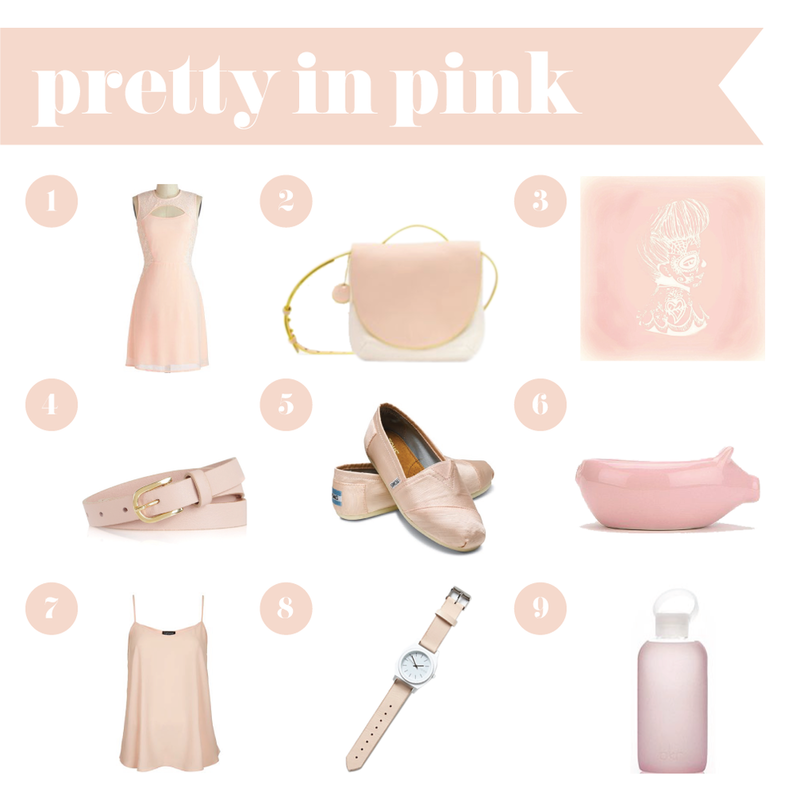 This pale pink hue will undoubtedly have you fawning. Enjoy the picks!